A guide to help you gain motivation, begin building your muscles and set up a consistent home workout routine. How do you create a bulletproof home workout routine to INCREASE your results, BOOST your exercise consistency and STOKE your motivation? You get guidance from the experts! I’m Lana Osborne-Paradis, your coach and cheerleader. For the last 15 years, I’ve trained hundreds of women to get more results from their workouts in less time. 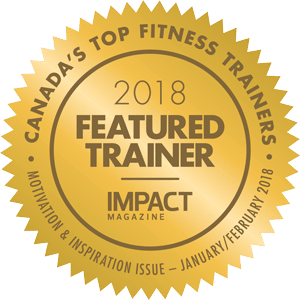 I was named one of Canada’s Top Fitness Trainers in 2018 and am passionate about helping women use exercise as a tool to battle stress, feel greater confidence and put themselves back on their priority list. That you don’t need more than 30 minutes for an effective workout. Four strength workout routines to build your amazing muscles. My favourite motivational mantras for improved consistency. How to target every muscle in your body with limited equipment. 4 STRENGTH-BASED WORKOUTS in printable PDF form with clickable video links to each exercise. PLUS!! A follow along mobility flow session to lengthen and soothe your post-workout muscles. I’M IN! SIGN ME UP FOR THE CHALLENGE! We start bright and early on Tuesday, November 13th! 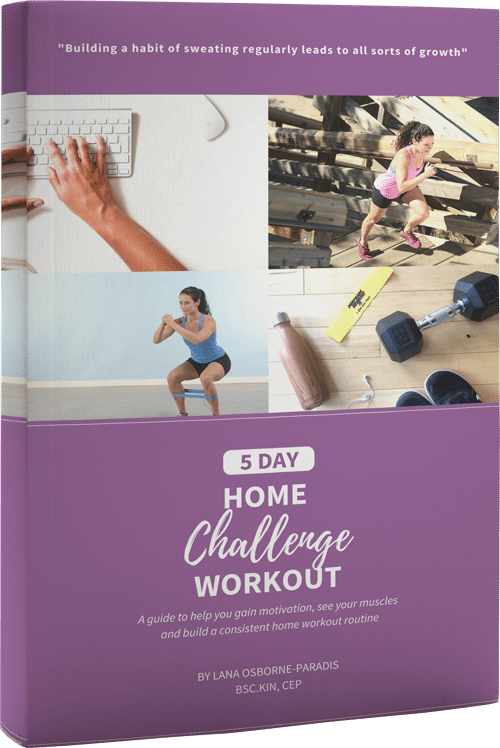 To complete the 5 Day Home Workout Challenge, you’ll need a few sets of dumbbells, a mini band (or ring tubing), a bench and a mat.